Φαλτσέτα - Knife, for cutting cardboard, leather etc. 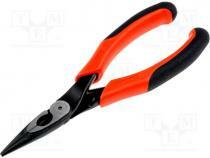 Pliers/knives application designed for multipurpose applications e.g. plastic shaping, cutting soft materials, correcting PCBs, etc. 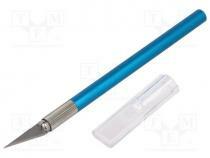 CK-0957-1 - Knife, for cutting cardboard, leather etc. PRE-KNIFE01 - Knife, for cutting cardboard, leather etc.